Jenny contacted us a few weeks ago to get an affordable website design completed for her. 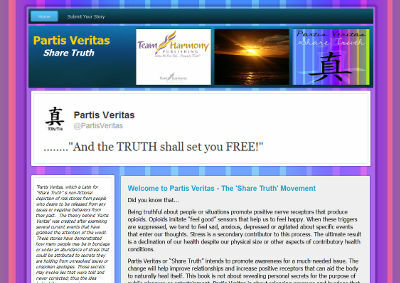 She is an author of a book – Partis Veritas – and wanted to setup a website to enable individuals to share their own stories. These stories will then be added to her book and published. Therefore, she simply needed a quick website designed that allowed individuals to submit their stories. Once Jenny provided us the details that she wanted on the site, we had her website up and running within two days! She then requested a few changes and those were done very quickly. We appreciate the business from Jenny and look forward to a continued relationship with her for her website needs! Jenny’s website is at partisveritas.com.